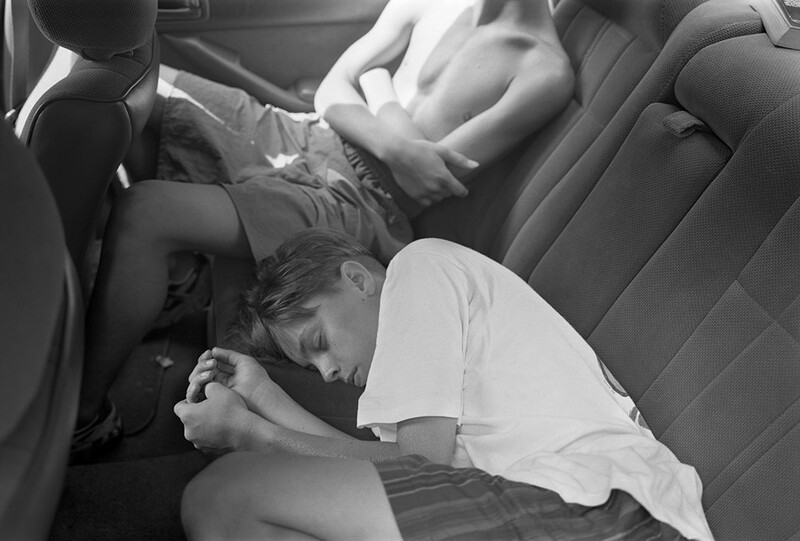 “I love the South for its warmth and chaos,” says American photographer Mark Steinmetz. “The vegetation grows rampant; the light is softened by humid air... The unexpected happens here a lot.” Steinmetz has a knack for capturing just that: the unexpected. Since the early 1980s, he has trained his lens on the everyday, exploring the comings and goings of ordinary people, turning the inconsequential into photographs that make you feel something and look again. Memphis, New Orleans and Knoxville and Athens in Georgia, where he now lives, have all been subjects. A new book, Past K-Ville, published by Stanley/Barker, follows up the photographer’s previous tome Fifteen Miles to K-Ville, continuing “a poetic journey around the outskirts of K-Ville: a fictional town somewhere between Knoxville, Tennessee and Athens, Georgia”. Here, in a collection of photographs taken in the mid-1990s, he captures the landscapes and people he encounters between these two cities with his trademark melancholy and dark humour. Here, he explains how the project came about, and what keeps him taking photographs. Past K-Ville, published by Stanley/Barker, is out now.